Canadians perhaps know Tara best for her role as the straight-faced police officer Constable Karen Pelly in Corner Gas. 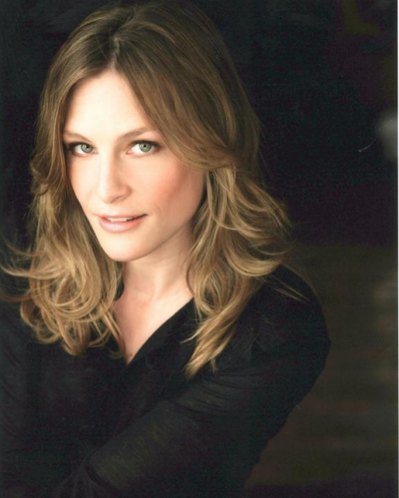 Born in Montreal, raised in Vancouver, Tara Spencer-Nairn now calls Toronto home. She landed her breakout role in 1999 when she was cast as the tough Bronx-raised teen in the festival darling, New Waterford Girl. The film screened at the Sundance Film Festival and TIFF, and received seven Genie Award nominations including Best Picture. She then starred alongside Don McKellar in the indie film Rub and Tug, where she introduced audiences to her flair for comedy and acquired her first Canadian Comedy Award nomination. A fixture in Canadian film and TV, Tara has appeared in the recurring role of Sandy in The Listener, and most recently guest starred on The Strain, Murdoch Mysteries, Flashpoint, Degrassi: The Next Generation, and in the short film Bastards. Up next Tara will be seen in the Lifetime movie The Preacher’s Sin, and in Gabrielle Miller’s short film Claudette. Tara is up for another Canadian Comedy Award, this time for Best Female Performance in a Feature for reprising her role as Constable Pelly in Corner Gas: The Movie, which hit theatres last December. Awards are presented Sunday September 13th. We have our fingers crossed! …definitely a grind but it is rich with creative possibilities. …to be more forgiving of myself and not punish myself for unattainable perfection. It’s a long ride with a lot of time for growth. Destination yet unknown (and that’s okay!). …first of all spit out your gum! Secondly make sure you’re comfortable in what you’re wearing; there’s nothing worse than feeling insecure on a red carpet. Lastly, and most importantly, just have fun! It’s not usually as important as you may think it is at the time. My husband bet me $10 I wouldn’t answer “Its naaaat a tumour” (in Austrian accent). My pay-off point is low. If you could have dinner with any actor, alive or dead, whom would you choose and why? Jodie Foster. I’ve always really loved her as an actress. phone book . She’s had a fascinating career, which has spanned decades in high profile memorable creative roles yet she’s managed to keep her personal life out of the spotlight. I feel she’d have great nuggets of wisdom on life and career to share.